Spoiler alert! This podcast will include all relevant knowledge from HBO’s Game of Thrones through S5 during this “Reread” of the ASOIAF book Game of Thrones. Matt is joined by Stephanie (@SMPersephone), Susan (@blackeyedlily) and Bubba (@FittenTrim) from the Double P Podcast Network’s The Joffrey of Podcasts, to discuss the final five chapters from the George RR Martin book Game of Thrones, Daenerys IX, Tyrion IX, Jon IX, Catelyn XI, and Daenerys X. Go to podcastwinterfell.com for all back episodes of the podcast, the contact links, and podcatcher links (please leave the podcast a written review on the podcatcher you use). Matt is joined by Stephanie (@SMPersephone), and Bubba (@FittenTrim) from the Double P Podcast Network’s The Joffrey of Podcasts, to discuss four chapters from the George RR Martin book Game of Thrones, Daenerys VIII, Arya V, Bran VII, and Sansa VI. 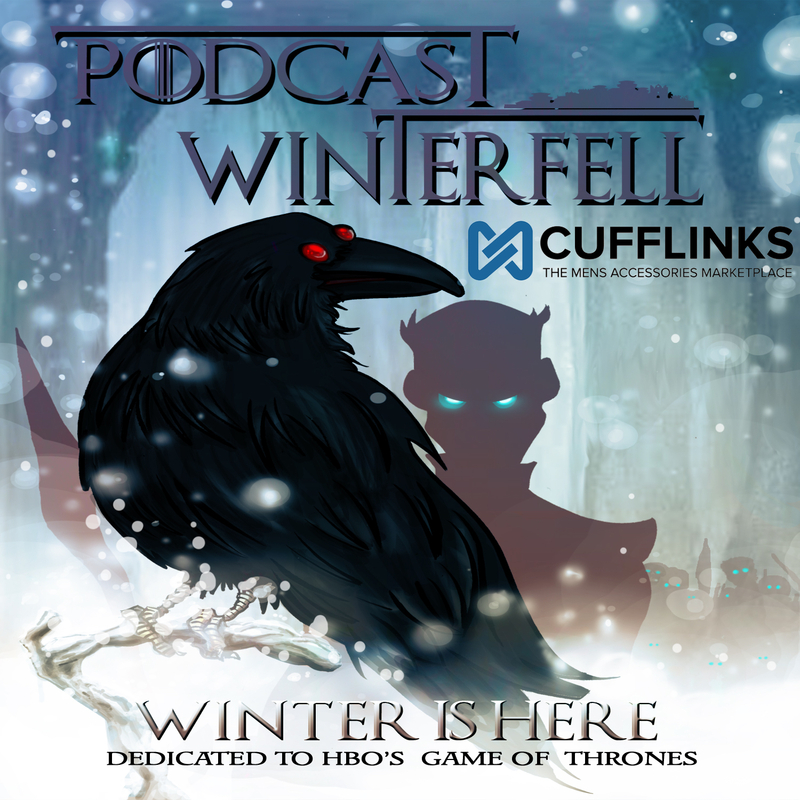 Go to podcastwinterfell.com to find all back episodes of the podcast, the contact links, and podcatcher links (please leave the podcast a written review on the podcatcher you use). Spoiler alert! This podcast will include all relevant knowledge from HBO’s Game of Thrones through S5 during this “Reread” of the ASOIAF book Game of Thrones. Matt is joined by Stephanie (@SMPersephone), and Susan (@blackeyedlily), to discuss four chapters from the George RR Martin book Game of Thrones, Jon VIII, Daenerys VII, Tyrion VIII, and Catelyn X. You can find the list of chapters read each week at podcastwinterfell.com in the Game of Thrones tab, as well as all back episodes of the podcast, the contact links, and podcatcher links (please leave the podcast a written review on the podcatcher you use).